For past many years we have seen almost no change in India. I feel backward, do you? Of course I would guess that most of us would say the same thing. We need change now, don't we? Well the best change can happen when we change ourselves but best would be to change the system by which we have been going through since the beginning. Technology has advanced, we haven't! The old use of ballot box still exists and the same counting pattern of the votes put by the voters. Enough of it we had. The normal voting machines have been changed to electronic ones but still the procedure remains cumbersome. So what's the use of changing the machines? We still have to wait in long queues to press the blue button. The reach is still not that extended. Like if the people of Delhi are voting, a lot of voters in small towns in and around Delhi are not eligible to vote in Delhi elections. "Bad officials are elected by good citizens who do not vote." The zones are decided, the quotas being fixed. You can't vote in some other zone, why? Don't these people have the right to cast their votes? Or they are intentionally boycotted from casting the votes? The answer lies in the system. 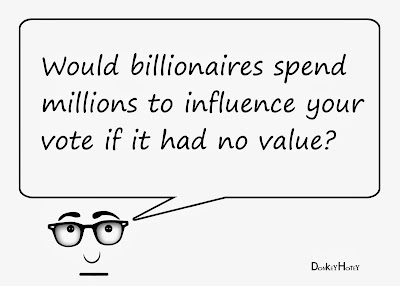 I agree many people still believe that by their one vote what could happen? They don't know that their one vote is sufficient for any leader to get selected. They need to change their thinking. They have the time to go to watch a movie but for voting they feel that it is irritating. The problem is that they don't want to get out of their comfort zone. 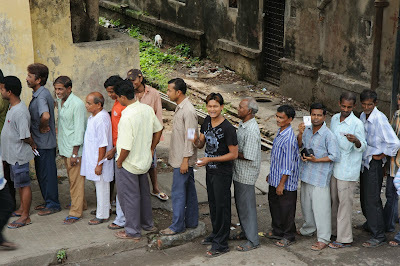 1) Saves a lot of time as people are not forced to stand in long queues waiting for their turn. 2) The reach of voters would be improved as a person sitting in any part of the country can cast his/her vote. 3) The counting will be automatic at the same time with results in minutes after the voting time is complete. Curious? Yes this is possible. This can be achieved. Think about it. whenever there is any reality TV show, we vote via SMS and results come very early in matter of few minutes. So why can't it be done for general elections? The users will be required to create an account with their voter IDs saved in the database and their voting locked after they have voted once. So what are you waiting for? Doesn't it seems interesting? And moreover, it would be a fair game. 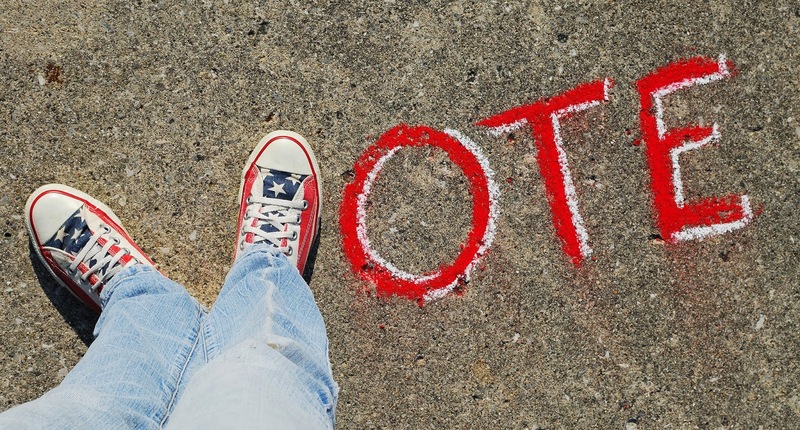 Are you planning to use the mobile app for voting in General Elections 2014? Do let us know! 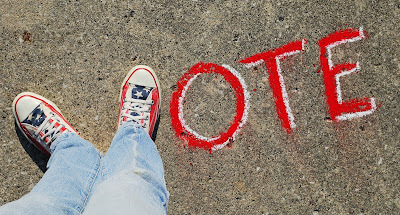 This post is written for a Contest General Elections 2014 with Social Mobile apps hosted by Indiblogger and WeChat. The video shared above is a demo of a voter app developed by Victory Enterprises. The video source is Youtube. Let's revolutionize the voting system. Don't sit back, Vote for India General Elections 2014! great post!! Every single vote matters. Best of luck with the contest. 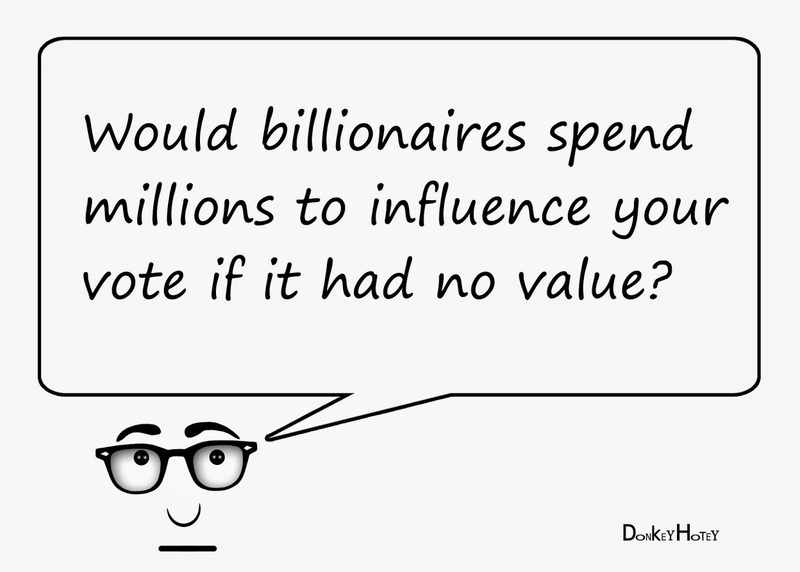 Votes are precious, politicians know that and that is why spend millions in campaigns.